So here at the end of the year/beginning of the year, we find ourselves thinking about what matters most/what matters least. Through all the buzz, all the fear, all the lunacy, all the loss, what starts to matter more and more to some of us is that humans are also very well equipped to make something BEAUTIFUL and never before seen. Hold that thought. 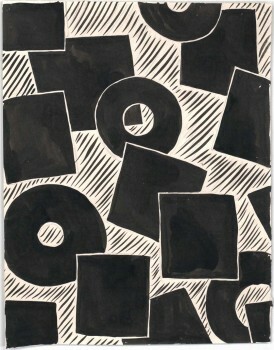 And take a look up there, that, made by Robert Motherwell. (it’s now at the MOMA). Who knows why, but the objects of eye-popping beauty-made-by-humans that rush to the front of the mind, for us at least, so often seem to be those made with the simplest palette of all: Black. White. Black + White. Look up, the amazing Mr Calder, his amazing THING, all BLACK set in a white, light filled room. 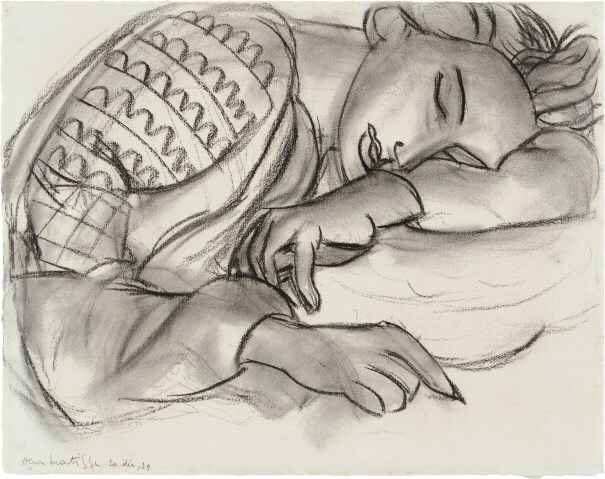 And then there is Henri Matisse, no slouch with colour, he was, but often, OFTEN, he put the reds and blues and acid greens to one side and made DRAWINGS–in charcoal, graphite, conte, ink, No colour necessary. None. It’s all there. Oh good gravy, even simpler even more reduced and amplified. Achingly beautiful. 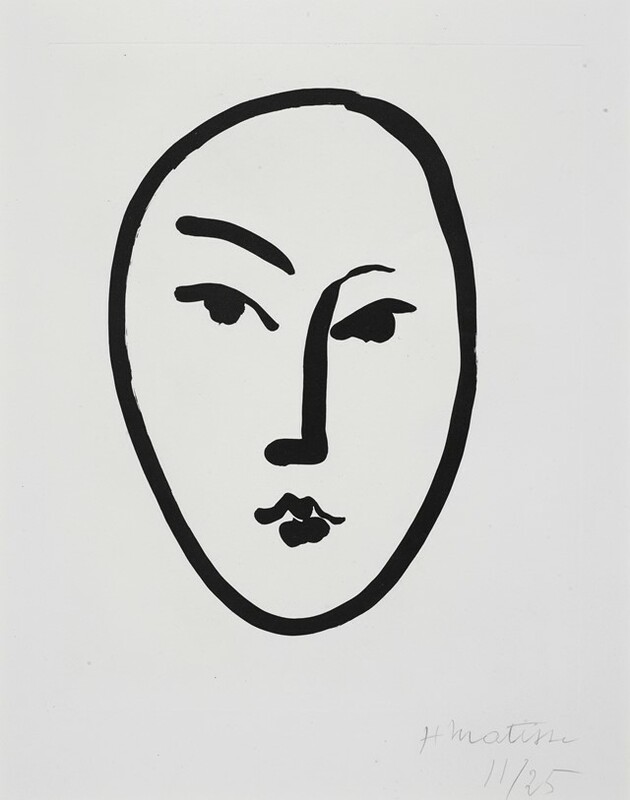 H. Matisse, encore. Not sure who she is, but Maria Likarz Strauss (1928 Vienna) is up to the challenge embracing colourlessness in the name of striking go-tell-someone-about-this-ness. 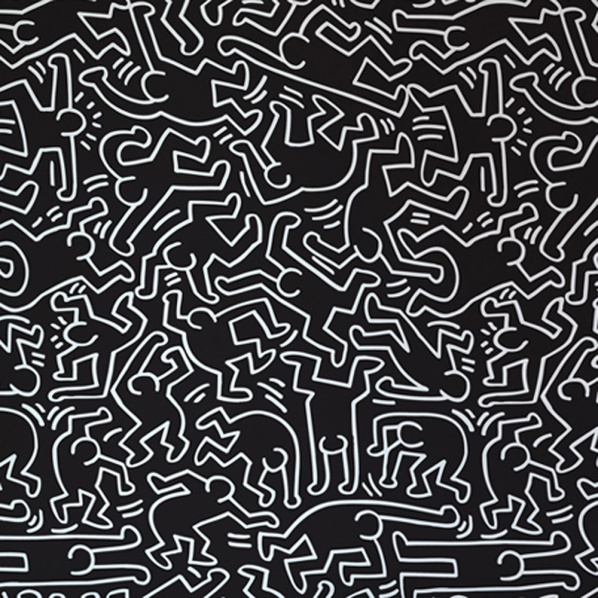 Wassily Kandinsky made some of the most colourful pictures of the last 100 years, but he too sometimes paused, took a breath, and showed us the power of B+W, musical, explosive..
Keith Haring. Young. Subway artist. Gifted draftsman. Brief life. Draped in black. And white. We are not done with this dark/bright discussion. 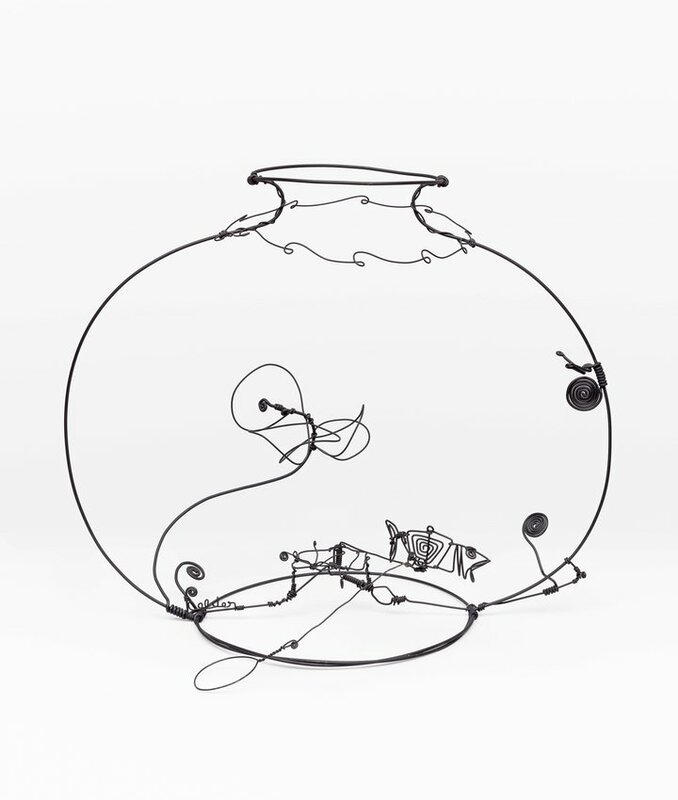 But for now, a pause, the last word, for now, to A. Calder again. Giving us a wire “drawing”. Aquarium. It’s all there.